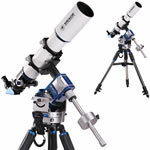 The Vixen BT125-A 125mm Binocular Telescope is a super bright binocular with incredible resolution, that shows amazing detail for both Astronomical and Land observations. The BT125-A Binocular Telescope by Vixen features a pair of 125mm achromatic objective lenses at f/6.08 that collect 300% more light than the naked eye. 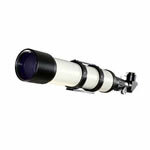 The Multi Coated Lenses yield 760mm focal length with internal baffles and fully adjustable inter-pupillary distance. 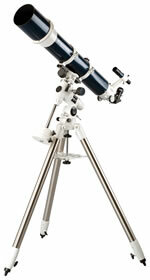 With fully corrected prisms, the view from the binocular telescope is stunning. 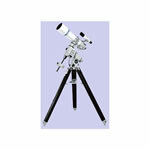 The 45 degree angled eye piece holders provide comfortable viewing. 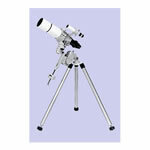 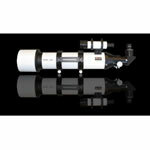 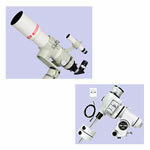 Each eyepiece holder accepts 1.25" eyepieces. 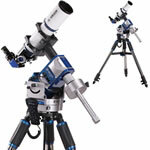 The interchangeable eyepieces allow you to change magnification for each individual observing session. 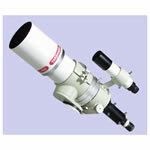 Each eyepiece has individual focusing. 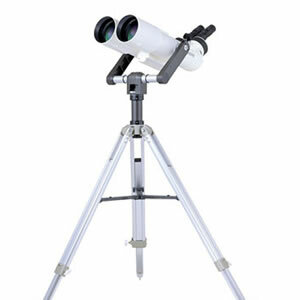 The Vixen Binocular's body is equipped with a dovetail based finder bracket to accept any Vixen Finderscope. 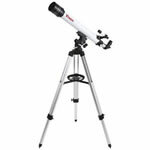 These features of the Vixen BT125 A Binocular Telescope make it a high quality astronomical binocular that produces detailed and bright views of the land and sky.